Garden Sparkle Blog: Happy Mothers Day Magnificent Ones! Happy Mothers Day Magnificent Ones! We enjoyed a wonderful MOTHERS DAY with our magnificent mum today! 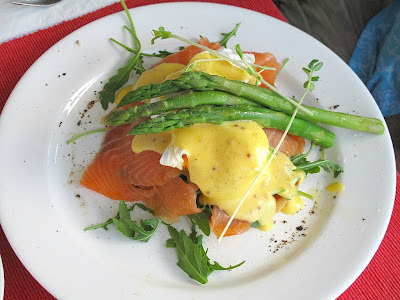 Gourmet family breakfast (see pic below...Eggs Benedict with smoked salmon, rocket and steamed asparagras) followed by gardening, celebrating a friends wedding and a snoozey relaxed afternoon of reading and naps. LOVE and BLESSINGS to all the wonderful mothers out there! and I hope you all had a fabulous day together ~ in person and/or in spirit.